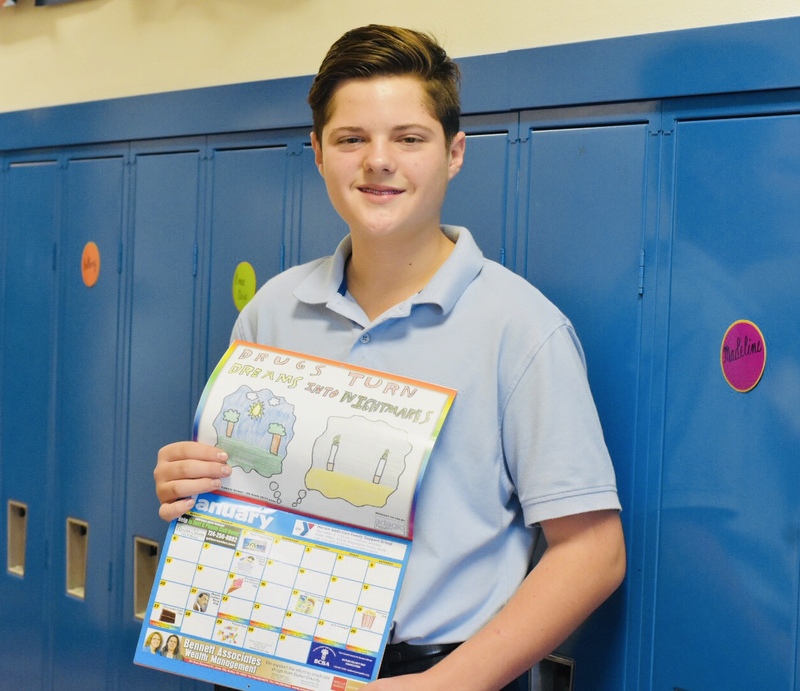 Congratulations to Evan Dancik, BCS 8th grader, and Nick Rine, BCS 2018 graduate on being winners in “The Respect Starts with Me” poster contest. The contest which took place in April, supported youth drug and alcohol education by encouraging students to creatively express their opinions about substance abuse. As winners, their artwork was placed in the 2019 Drug and Alcohol Prevention Calendar produced by the Butler County Drug and Alcohol Program and the Butler County District Attorney’s office. Nick’s artwork was selected for the cover of the calendar, and Evan’s artwork was selected for the month of January.